See the little fellow in the image. Butter wouldn’t melt in his mouth. From the image you can see his mum and dad have a budding artist in the family. You may also notice mum and dad are supervising. They have also provided him with paper and crayons. 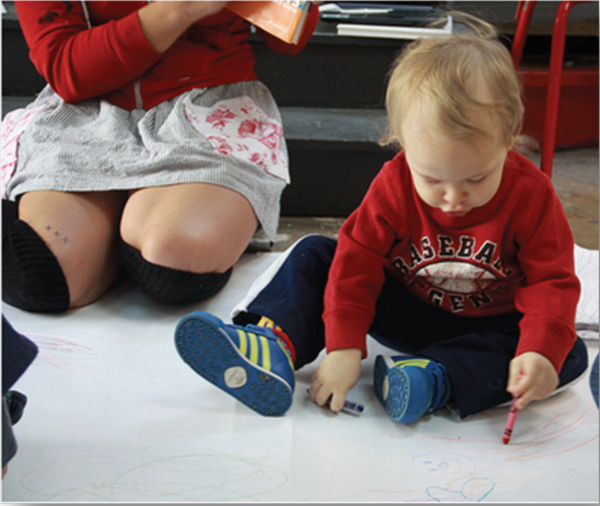 The crayons he is using will wash off walls, furniture or carpets; last time they didn’t. His last masterpiece was created on the carpet. It was worthy of Jackson Pollack. Like Jackson Pollack, this little lad’s masterpiece was created in oils and other media. Unfortunately it was engine oil from his daddy’s oil change on the car. The other medium was his dinner. After several attempts to erase all evidence of their little boy’s masterpiece (and it was a masterpiece) they called in the team of experts from carpet repair Birmingham firm Carpet Surgeon to clean up the mess. We all love our kids and as a nation of animal lovers we also love our cats and dogs. The trouble is these little bundles of joy are the main vehicles for damage to carpets. Dogs love to dig. Carpets are to a dog like a lawn; just waiting to be dug up. For a cat your carpet is the ideal scratching place. Cats’ claws can render a carpet into millions of loose strands in seconds. Cats to carpets are much like Freddy Krueger to teenagers – an enemy from which they cannot escape. Then of course when friends come round and spill red wine onto your beautiful light coloured carpet, you feel like strangling them with you bare hands. To sum it all up it really isn’t a joke. But don’t let the last laugh be at your expense. 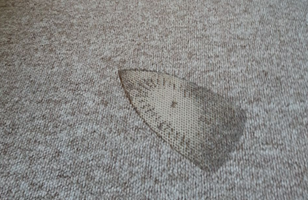 If you have a stain which won’t budge or damage which looks like it is not repairable, call us first before you do anything else. More often than not carpets aren’t covered on household contents insurance; if they are included there may well be a big deductable to pay before the insurance kicks in. It may also be that the damage is repairable at a much reduced cost compared to the deductable you might have to pay. Then of course you won’t have to pay for a replacement carpet which may run into hundreds of pounds. Call the team at carpet repair Birmingham firm Carpet Surgeon. Our team makes light work of repairs to any type of carpet. In the main a carpet can be repaired for much less than the cost of replacement. 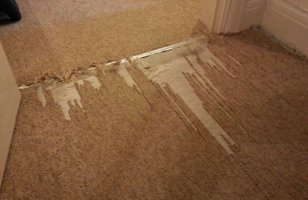 Why replace a perfectly good carpet because it has been stained or damaged and it is no more than six months old? Accidents do happen, and they happen more often than you may care to think. 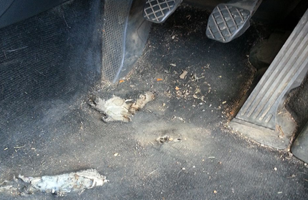 Our team has been putting things right for car owners, home owners and business owners all of whom have had something spilled on a carpet or damage caused. Now, can we help you out of a dilemma? We’re here to help; just ask any one of the thousands of customers we have helped in the past. Carpet repair and refurbishment is always more cost effective than complete replacement. Of course, it may be your kids or pets are more powerful than the A-team and there is no hope – but we doubt it. But if you don’t contact us, you’ll never know if you can save a few hundred pounds for the sake of a single phone call, will you?